Richard Bernstein’s era-defining covers for Andy Warhol’s Interview magazine encapsulated – and often amplified – the colourful, creative cultural melting pot of New York in the 1970s and 1980s. His hyper-glamorous style – in which he combined pencil, paint, pastel, collage and air-brushing over photographs – magnified the stardom of his subjects which included Michael Jackson, Madonna, Mick Jagger and other singers, socialites, movie stars, models, actors and icons. He produced 189 covers for the magazine as well as other editorial work, art direction, album covers and movie posters. This month the artist – who died in 2002 – is swinging back into focus thanks to a new Rizzoli monograph, Richard Bernstein Starmaker by Roger and Mauricio Padilha. 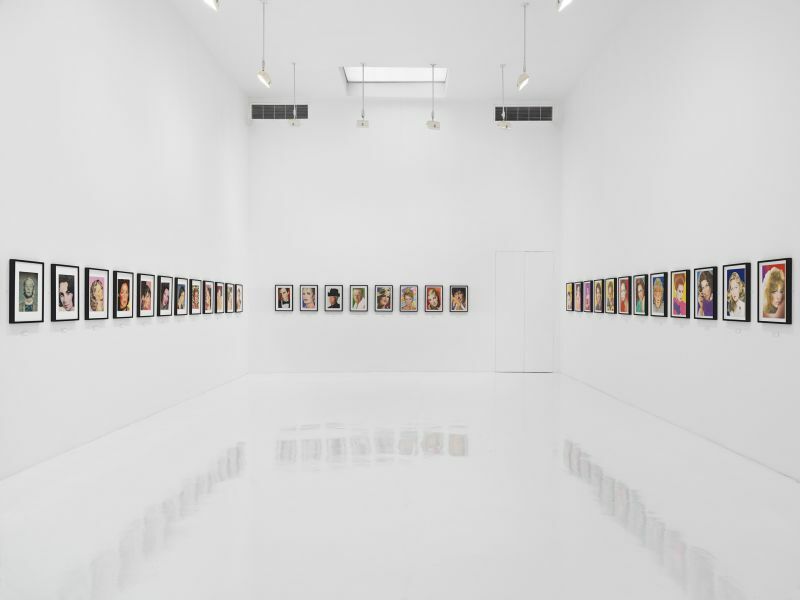 And, until 21 October, Jeffrey Deitch is staging a retrospective in New York. The show will include sixty original Interview cover paintings as well as some of Bernstein’s pill and gem stone paintings from the 1960s. “This is real Pop Art not the fake Pop Art found in museums,” says FIG founder William Ling. “Although when we showed the work in London in 2014 it was the sales to Tate that thrilled us most.” This new show will feature many paintings that have not been seen since they were removed from the artist’s home and studio in the ballroom of the Chelsea Hotel.